Thinking of having some Blueberry Muffins for tea? With the Jamie Oliver Phillips Food Processor you can whip up a batch of cake mixture in minutes. It’s simple and a fun activity which you can even do with your kids. This food processor can certainly speed up your cooking in the kitchen. There is a range of activities that you can do with the Jamie Oliver Philips Food Processor. You can slice, shred,whip, juice and even create frozen desserts with its 1000w motor. 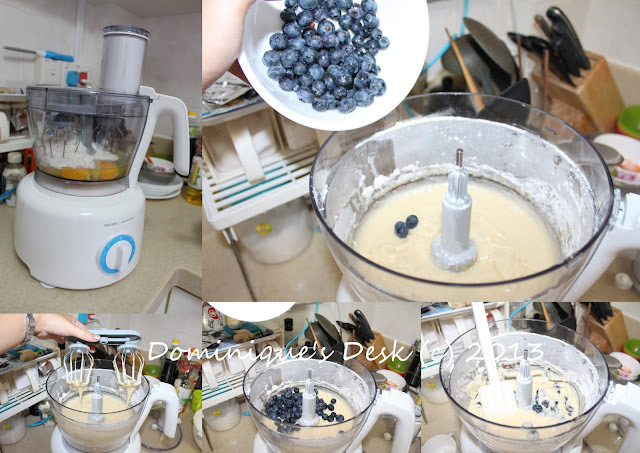 Salads, Soups, Sorbets and even ice-creams can be made using this food processor. 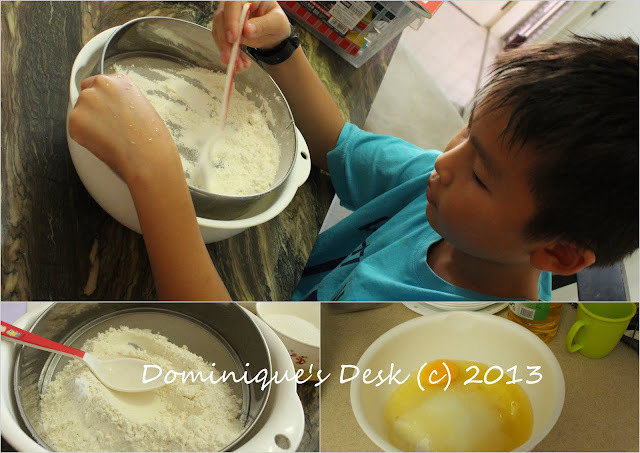 The kids were craving for some blueberry muffins and we decided to bake some one afternoon during the weekends. After all the ingredients have been mixed it was time to take out the food processor and let it do it’s magic with the metal double balloon better attachment. It took about 5 minutes to mix the raw ingredients together to form a smooth batter. Once the batter was made I added in the blueberries and mixed it in before pouring out the whole mixture into cupcake cups for baking. After baking for about 20 minutes the blueberry muffins were all ready to be eaten for tea. Keep life simple with the PHILIPS | Jamie Oliver range which includes a food processor (S$268), handblender (S$128) and blender (S$108). Available at leading electronics and departmental stores. Disclaimer: This post has a compensation level of 2. For more information visit Dominique’s Disclosure Policy page. Yes, I want a bite. Haha! Is that a good substitute for a mixer? no secret to it just that you have to make sure that the mixture is not over stirred and use the correct proportions when you follow the ingredients/instruction list. I want a food processor! OOOH – I have all the ingredients for this – I might have to try these. Oh yes! I do want a bite. 🙂 They look so good. I love blueberry muffins.